​Hello dear Flower Artists Worldwide! Welcome to the new project of THE SILK FLOWER ARTIST - "SILK ROSE MONIQUE"
This is a "do-it-yourself," home study tutorial. No special talent needed, because we teach you the professional secrets, shortcuts and easy ways how to make this spectacular silk flower. 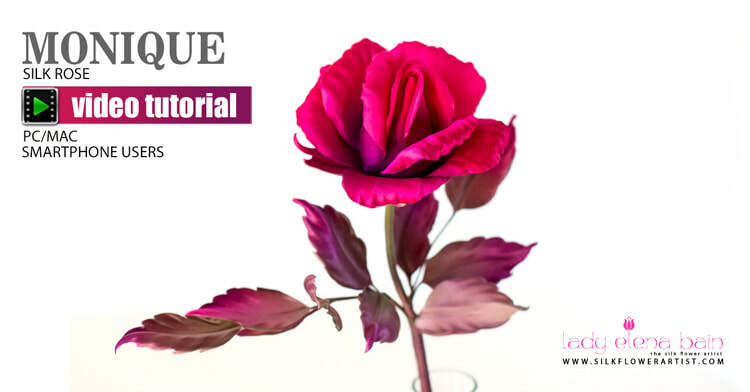 Full HD complete and simplified step-by-step video ​tutorial how to make SILK ROSE "MONIQUE"